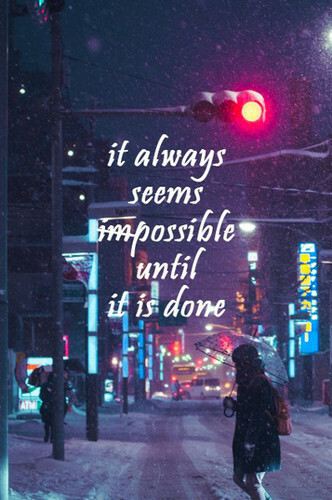 Nothing's Impossible. . Wallpaper and background images in the Quotes club tagged: photo quotes streets lights always snow impossible. This Quotes photo contains street, city scene, and urban setting. There might also be pelican crossing, multiplex, and diner.